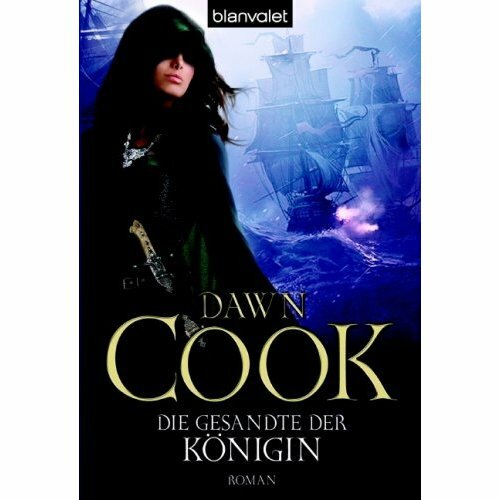 A few days ago Dawn Cooks first Princess novel „The Decoy Princess“ has been released here in Germany. 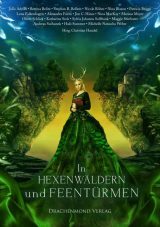 The perfect time to ask the author some questions about writing high fantasy, using her pseudonym Kim Harrison and other stuff. Without giving too much away: How would you describe „The Decoy Princess“ in just a few sentences? 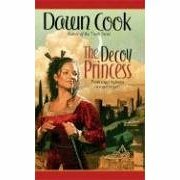 „The Decoy Princess“ is a reverse fairy tale. 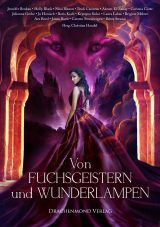 Instead of a poor girl discovering that she is the long-lost child of royalty, Tess is shocked to find she is a beggar child, bought to protect the real princess. But her destiny is far greater than to hold a single kingdom in her hands. Her teacher and confident “stole” her in turn from the king and queen to be his heir at a game that spans generations and kingdoms. Could you tell us a little bit about the main characters of the novel? We hear the story from Tess, a strong-willed, young woman. She has Duncan to help her, a talented con man and thief, as she flees across her lost kingdom. Jeck is the rival kingdom’s military strong arm, and more than he seems as he holds the information Tess needs to become a true force. What did inspire you to the plot of “The Decoy Princess”? I wanted to write a story from the other side of the coin. For every “lost heir” there must be a disgruntled, angry beggar who lost everything when the real princess took the throne. That was the story I wanted to tell, a story of success that stems from failure through perseverance and tenacity. Did writing the novel challenge you as a writer in a way that didn’t occur before? It did, both in terms of the magic I used and the interpersonal connections between the three main characters. I don’t want to give anything away, but by the end of the second book, there are a lot of changes. I had to lay the groundwork for the last book while writing the first, and it was tricky balancing everything out. The basis that magic had a huge physical cost was new to me, too, and that took some time to work out. How would you describe the type of books you write to someone who hasn’t read one of your novels yet? What do you feel is your strength as a writer? I think one of my strengths as a writer is my ability to write a female character that a male reader can identify with. I have a lot of guy readers who tell me they are surprised they like my work. I also think my ability to come up with “logical” magical systems is a plus. My background in the sciences help me a lot there, but much of it is just trial and error on the paper. You’re massively popular with your Rachel Morgan books, which you write under your pseudonym Kim Harrison. Although urban fantasy was kind of „the it-thing“ in the last few years, how do you think this subgenre will perform within the next few years? I think that urban fantasy will continue to grow, but that the number of authors being published under it will start to slow down. Much of the movies being produced right now have a fantasy bent to them, which help promote urban fantasy books. However, I also think that New York publishers are always on the lookout for the next big thing, and when it comes along, the publishing world will shift. Why did you decide to work under a pseudonym? I had to take a new name when I started writing for a new publishing house. That’s all it was, but I found I rather liked having two names, and I’m glad it happened. Do you have any plans to write another high fantasy novel in the forseeable future? Would you maybe even consider visit the world of “The Decoy Princess” again or the one of the “Truth series”? A lot of people would love to hear from Alissa again. Unfortunately I don’t have any plans to write anymore Princess books, even if the ideas keep coming to me. (laugh) Alissa’s story is done completely, though I have a short epilog burning a hole in my imagination. Alas, it will stay unwritten for at least a few more years. My work is currently scheduled out for quite a few years. Is there a question you always wanted to get asked in an interview, but it never occured? Now is your chance: Please tell us what question would it be and give us the answer! No, I don’t have any question that I wish had been asked. It has been my pleasure, though, answering the ones you posed to me. Thank you so much for the chance to talk about the Princess books. They were a lot of fun to write, and I miss Tess. She’s a talented, spunky young woman. Thank you very much for doing that, Dawn! All the best for your future and your career! If you want to find out more, I’ve done an Interview with Dawn Cook in 2008 as well: here!